As the summer of 2013 ends and we begin to see the leaves changing for the Fall, Eagle Equipment is also changing. We have begun the transition of updating all of our wheel service equipment line. As the old saying goes, “out with the old, in with the new.” Over the next few weeks, everyone here at Eagle is excited to begin to introduce you to our new wheel service line. Meet the new ETC-550 Eagle tire changer. 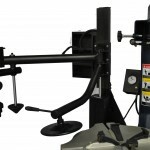 This changer will handle up to a 37” tire diameter and a max rim diameter of 24”. 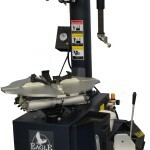 The ETC-550 turntable operates off a 110 volt, to give it a little more strength for the hard to remove tires. 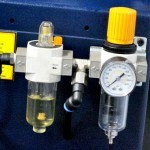 The rest of the ETC-550 is air operated – that includes the bead breaker, inflation box and bead blast. 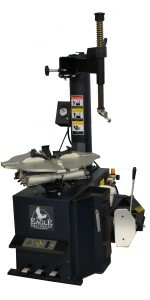 Below are the details for Eagle Equipment’s new ETC-550. This is a new feature to our Eagle Wheel Service line, in which any of our standard tire changers can have an assist arm added, at any time. The cost to add this arm is $600. 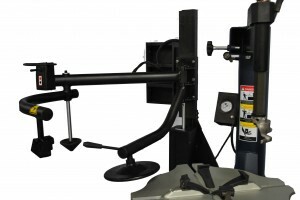 Bead Breaking Force 5525 lbs. I have a GLO 502 tire changer and it needs an exhaust valve and and an exhaust valve cover. Do you know where I can get those parts from. It’s leaking very badly. Give our Parts Line a call at 800-535-0016 and they would be happy to help you out.